In an unprecedented crime prevention project, the I-Team revealed how convicted burglars say they're getting into your homes. Now, NBC 4 New York's Chris Glorioso explains how you can keep them out. 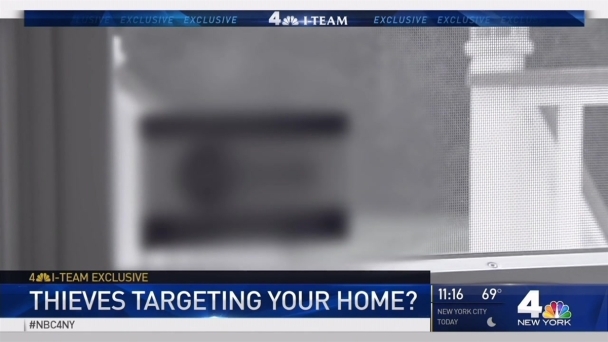 In an unprecedented crime prevention project, the I-Team sent surveys to hundreds of convicted burglars in New York and New Jersey, asking them questions about how they picked their targets, broke into homes and what residents can do to stop them. Here's part 3 of the series, by Sarah Wallace. See the rest of the series here. 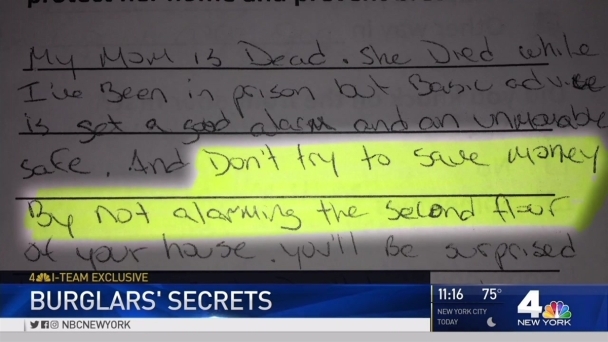 What would burglars tell their own mothers to keep their homes safe? In the last installment of an unprecedented crime prevention project, Chris Glorioso asks convicted burglars their advice for keeping intruders out of your home.